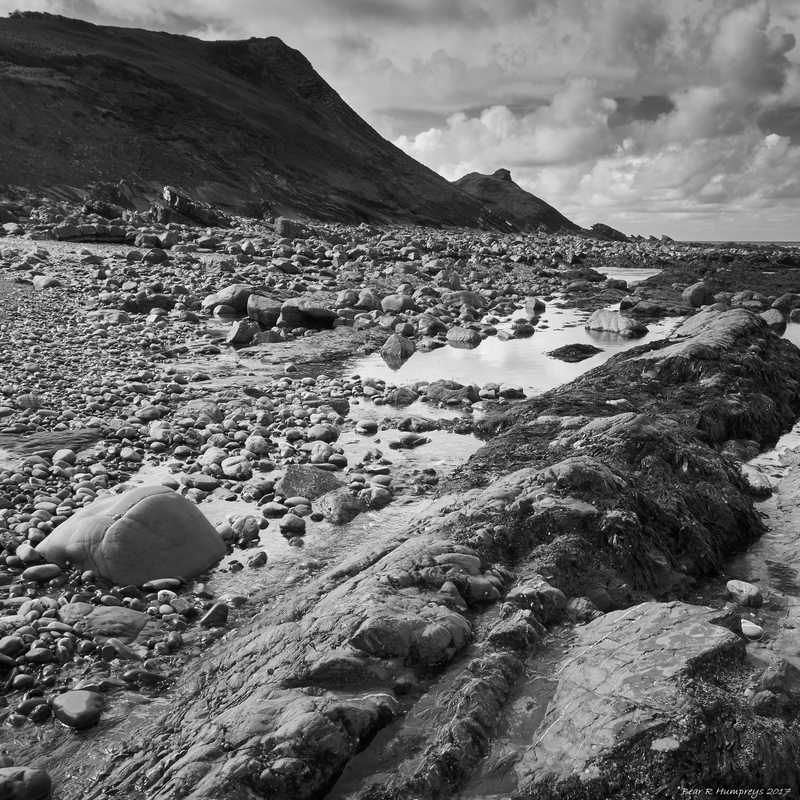 When the tide is low at Millook, you can see why it’s not a family friendly bathing beach. Mostly, without the sea in the background and vegetation on the cliffs, it looks like a scene which the Mars Rover might send back pictures of. The loose stones look big, heavy and immovable to us but the power of the sea leaves different amounts and arrangements of them at every low tide.